When it comes to services, it is important for everyone to find the service providers that can give the best quality work so you will feel that they are really worth your money. This is the same with house painters. Remember that if you want your house to be perfectly painted, you should really look around the market for the Canberra painter that can give you the service that you are looking for. So if you will shop around for these house painters to do interior painting in your Canberra home, it is important for you to ask them some questions as a part of shopping around for house painting services. First it is important to set expectations about the whole preparation time. This means that you should be informed about how long it will take them to do the whole project. How long will they prepare your house before painting? Aside from this, it is also essential for you to ask the steps that your Canberra painter will do in your home as preparation for the interior painting? You might need to keep some of your picture portraits as they might need to scrub your wall. The next question that you should ask is about the amount of the whole services that they will give you. Remember that they may have different charges depending on how many coats they will apply on your house in the Canberra region. Clarify any potential expenses so you will not go over your budget. Next, time to ask for the paint type that they will use. As much as possible, clarify the brand that they will paint in your home as they may increase the amount of the service. At the same time, you may also want to ask for paints without the strong scent especially if you have kids at home. This is because even if the paint is already dry, they still leave some scent that may irritate your babies. Finally, do not forget to ask for the contact numbers of their references. This way you can background check the Canberra painter that you will hire. Did they make a good job on their past clients or not? In general, getting house painting services will also require you to do a lot of research and interviews. 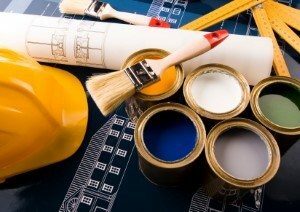 As long as you ask for this information thoroughly, you will surely get the most dependable Canberra painting service contractor for your home so you can be assured of quality and price.